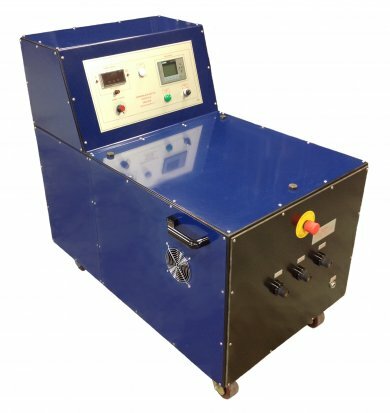 The K9 is a bespoke high output MPI Power Pack which with AC energising modes and push button demagnetisation modes as standard with optional HWDC and FWDC current flows modes available. The K9 Mobile Power Pack is ideal for performing pistol prod and encircling techniques but can also be used in conjunction with fixed coils, split coils, ‘G’ clamp type prods and to power MPI Bench Units. Using the K9 to power a MPI bench units means that only a single set of transformers is required to power both units which will give a cost saving to customers interested in using both MPI Power Packs and MPI Bench Units in the same environment. The K9 is supplied fully calibrated and with the relevant paperwork. K9 Power Packs can be built to have a maximum outputs from 3,000A up to 10,000A depending on the power required. The unit can be tailored to customer requirements to achieve the most economical solution to customer needs. The K9 MPI Power Pack is built around one of three control systems - The Manual System, Start System and the Plato 3 System. Plato-3 is a control and monitoring system for MPI bench units and power packs with an emphasis on data recording and traceability. Plato-3 includes all the features found in the earlier Plato-2 System like auto-regulated current (dial-an-amp), variable shot timer and programmable job sequences but brings to the table new features, full data acquisition and monitoring and a more intuitive interface displayed on a colour monitor. For fluorescent MPI processes the K9 can include a bespoke UV Inspection Booth to reduce ambient light below the 20 Lux demanded by most MPI standards. 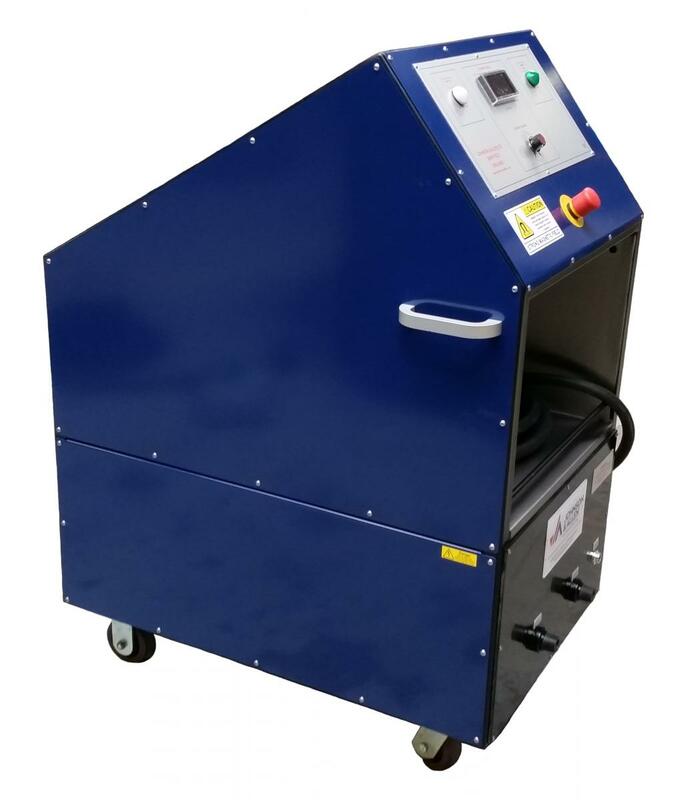 UV Inspection Booths are usually free standing and fitted with both UV lights and white lights to give adequate background UV light when inspecting with the option of white light for safely loading components and maintenance. 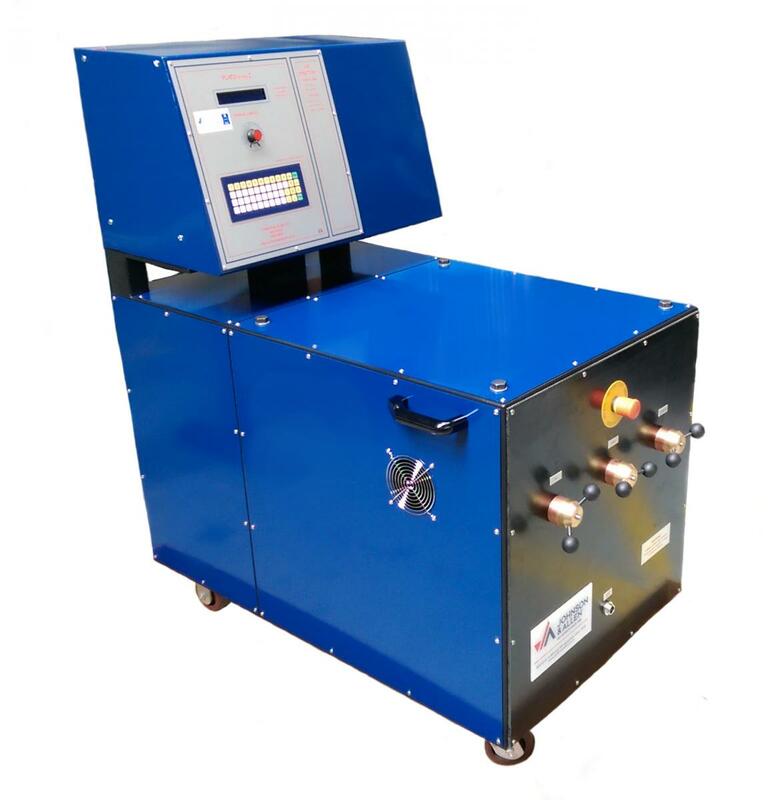 UV Inspection Booths are built around a sturdy steel frame and panelled with either a PVC canvas or steel sheet. Most UV Inspection Booths also incorporate a number of fans to remove heat and prevent build-up of chemical vapours within the booth. Component doors are also common and can be either manual or pneumatically operated. The K9 is a highly robust unit built around a steel box frame which includes casters for easy re-siting and threaded holes for lifting eyes. Safety features such as thermal cut-outs and current protection devices are fitted as standard on the K9, which ensures that even inadvertent misuse will not put operators at risk. Johnson & Allen pride itself on high quality design and construction which is why the power transformers used in the K9 are wound, built and extensively tested in house before they are installed.